A used Kia Sorento from Auffenberg Kia is a great choice for Mascoutah families. Keep an eye out for a used Kia Sorento with 3rd row seating or one with all-wheel drive. All used Sorento models offer generous cargo capacity and plenty of passenger room, so explore our online selection today! 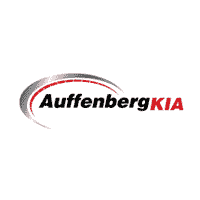 Why Buy a Used Sorento at Auffenberg Kia? Edmunds says, “Kia’s midsize crossover is definitely worth a long look,” and it’s one of the most popular used mid-size SUVs at Auffenberg Kia. On top of that, when you shop with us, you’re guaranteed a positive customer service experience. Our Auffenberg Honesty Policy ensures you pay a fair rate for your next vehicle, and you can apply for financing before you arrive. We’re located a short drive from Smithton, so stop by today!